Most of the smartphones come with a default file manager, which is quite decent to use for that particular smartphone or tablet device but there are many situations where you wanted to have more access to the files and play around with the file system (only if you are quite an expert with it), and these pre-loaded file manager don’t allow you to do so. 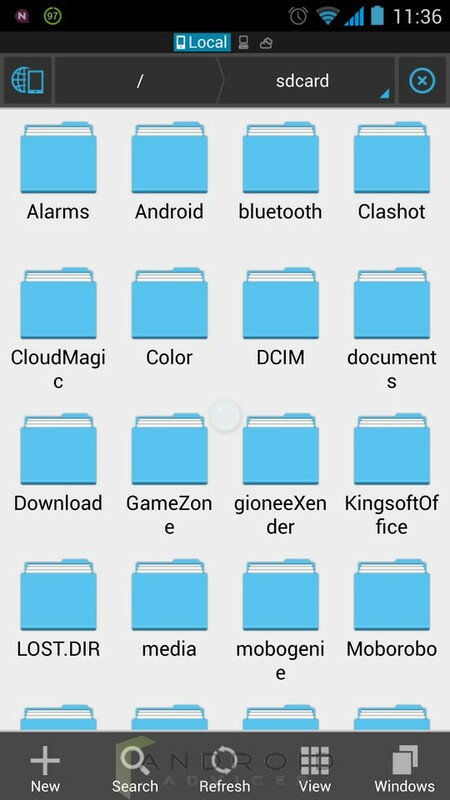 The best part that we already mention here – File and application managing, task killer and cloud storage client which is compatible with several cloud storage services like Dropbox, Google Drive, Skydrive and a few others. 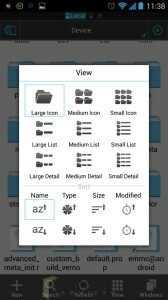 English, Russian, Japanese, French, Spanish, German, Traditional Chinese, Simplified Chinese, Dutch, Italian, Hebrew, Vietnamese, Slovak, Czech, Hungarian, Ukrainian, Tamil, Catalan, Turkish, Lithuanian, Portuguese(pt), Portuguese(br). 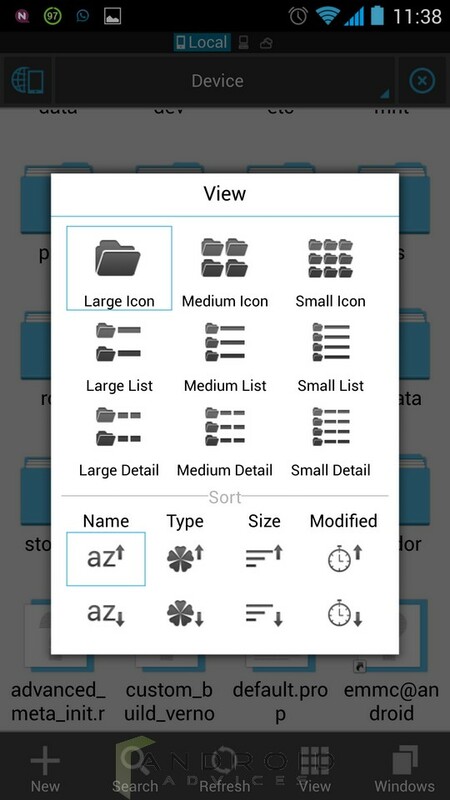 Let me guide you through the various features of the app with the screenshots to make it easier to understand for a first time user, who might not see a system folders in their device. 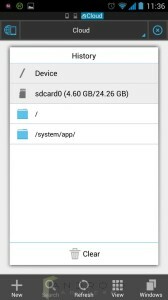 The user can select the root folder as either the Device root or the SD card, and there is a history which shows the recently browsed folders in the file system. 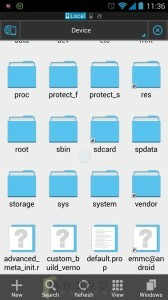 The folders like sys, system, vendor, spdata, root might be seen only when the root access is available, i.e. 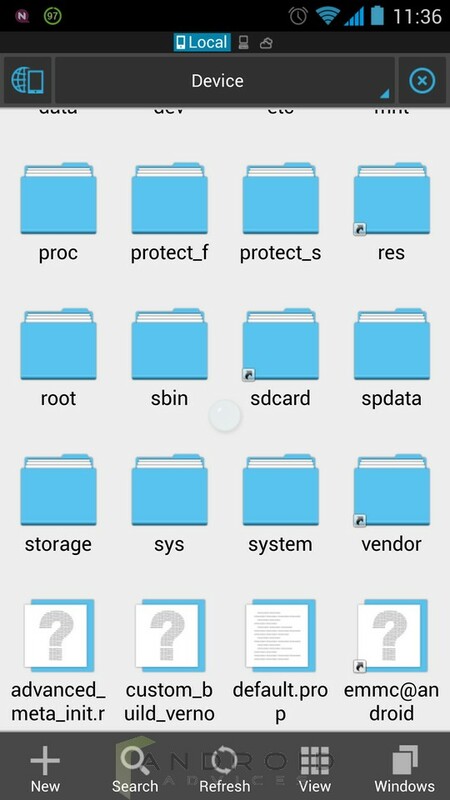 if the device is rooted. Or else, you will be getting the direct access to only the public folders and to the SD card. 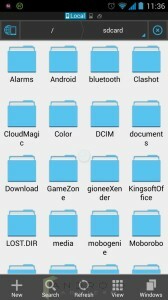 These would be more than enough for a user who always finds it hard to roam around the settings and manage the various applications in the smartphone, and to check how the storage in the SD card is. The network settings include the LAN, Cloud, FTP and Bluetooth. the FTP connection options show how good the app is, for users to do a lot more than just managing the files and folders in the smartphone. The library would again help the user go through all the files of a particular file type, i.e. 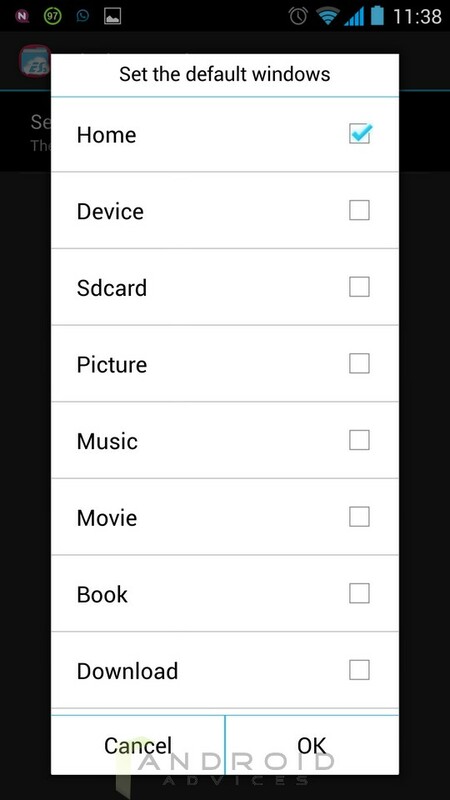 into pictures, music, movies and books. 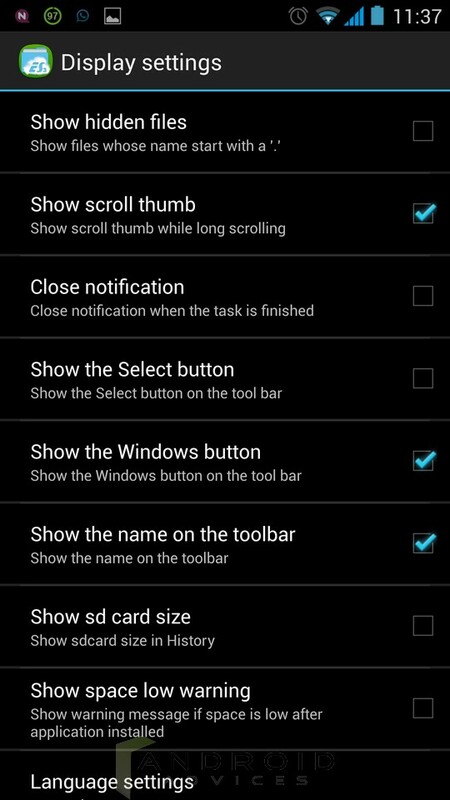 Display settings which brings in the settings to show or hide the hidden files, close the notification when a task is finished, show the scroll the thump, the windows button and the name on the toolbar. 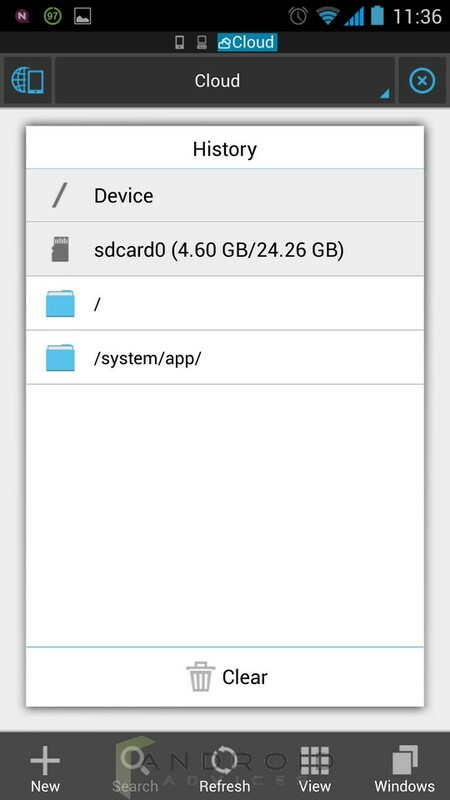 There is an option to even show / hide the SD card size as well as the space low warning. 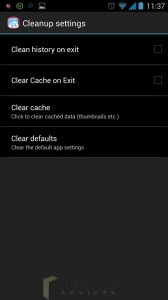 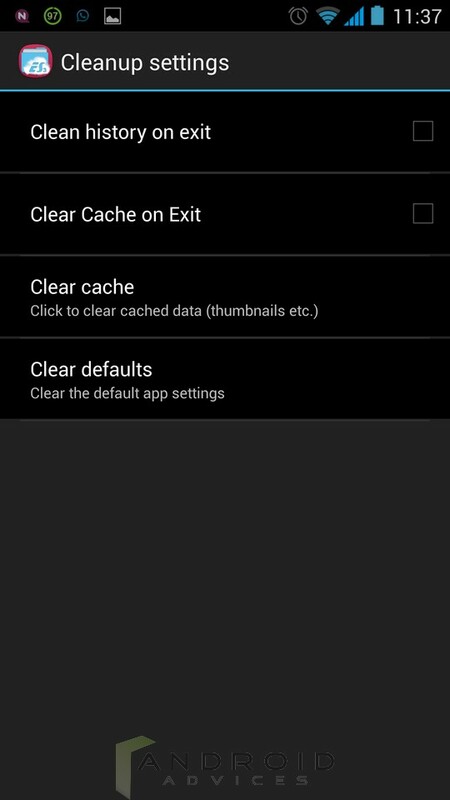 Cleanup settings would do a nice job of clearing the history of what you did when exiting the app, and the cache clearing can also be done. 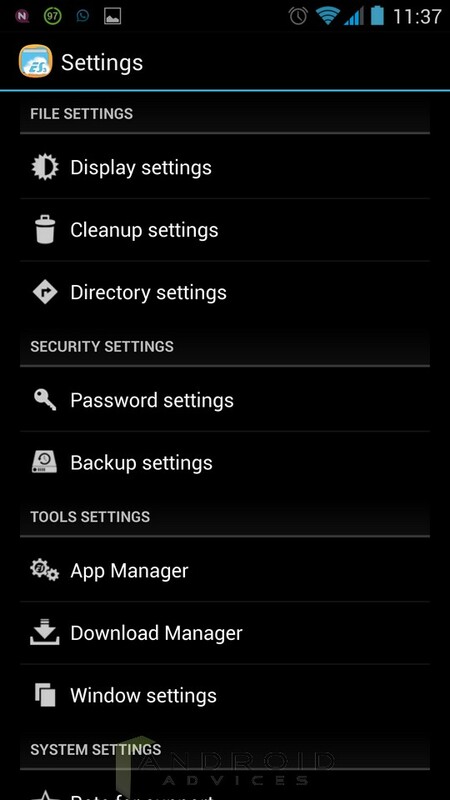 The other settings include the password settings, and the various things one could do to manage the applications in the Android phone. 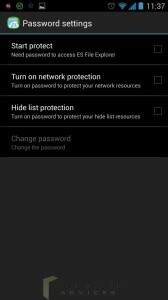 Password settings: You can protect the app with a password, so that one has to enter the password to access the file explorer. 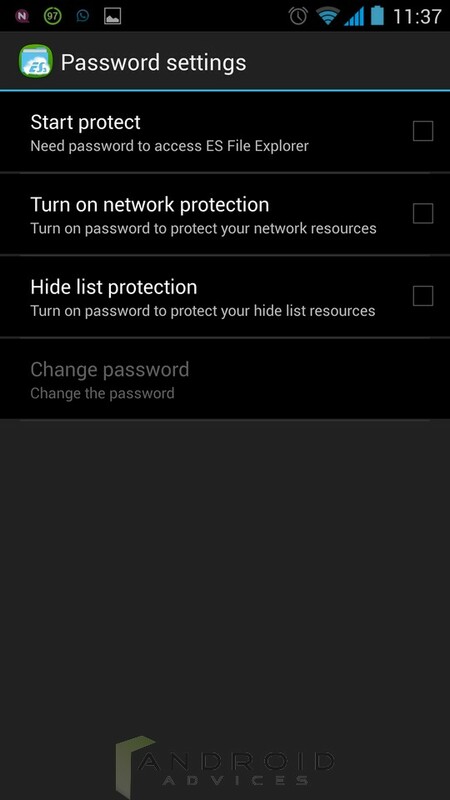 There is even network protection option, so that the network resources are protection, and also to protect the hide list. 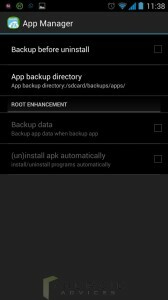 App Manager: Before uninstalling an app, the user can choose to backup the app, and there is a separate directory for the app backups. 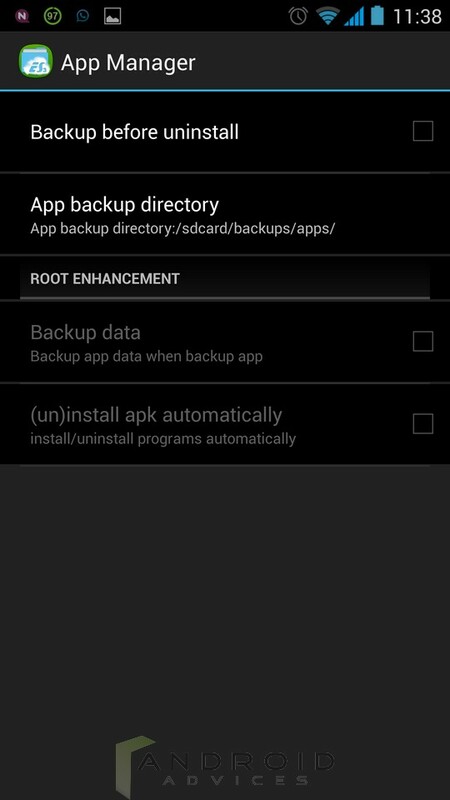 When the device is rooted, the ES File Explorer gives and extra option of uninstalling the apk automatically. 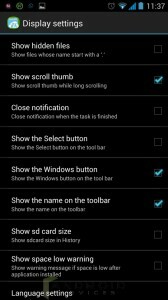 There are a lot of other options out of the settings area too, and that includes the default windows setting where one can set the Home, Device, Sdcard, Picture, Music, Movie, Book, Download or any of the folder to open directly. 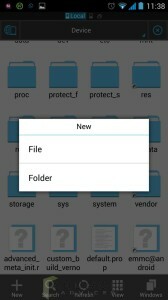 There are several view options too, and people can create new files and folders anywhere in the directory. 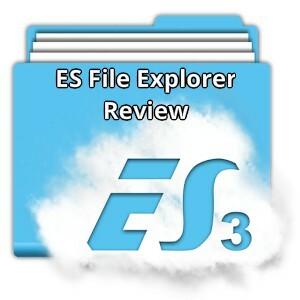 This ES File Explorer app is available for free on the Play Store, and it unarguably one of the best file manager and explorers for the Android smartphones. 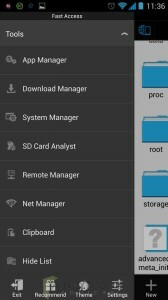 This could very well compete against several other free or paid file explorers, and the default file managers aren’t mostly anything when you talk of the features included.